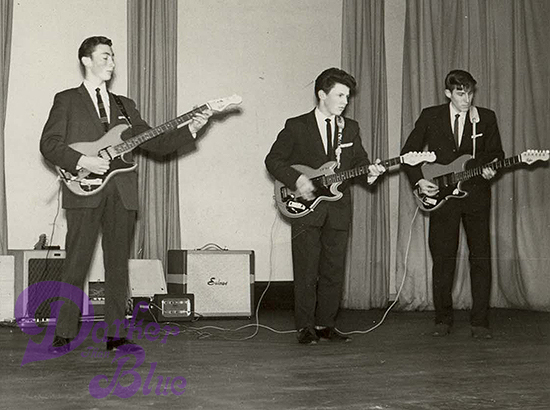 This shot shows The Madisons on stage at Harrow County School in December 1962, with Roger Glover (left) on bass, Tony Lander (centre) and Dave Collis on lead guitar. Drummer Harvey Shield is out of frame. 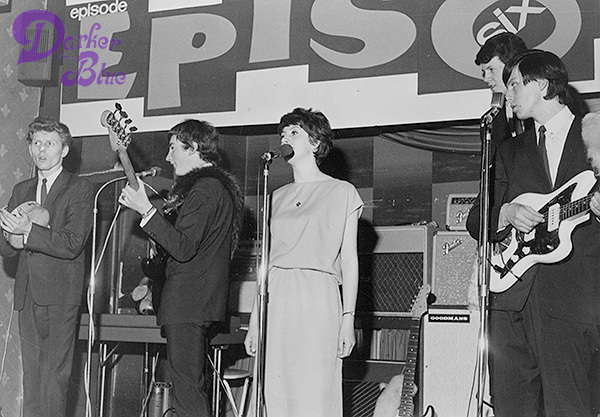 Although Episode Six were together by 1964, The Madisons reunited as a trio in December that year to play a final Xmas show at the old school. This photograph shows the pre-Ian Gillan line up of Episode Six, with lead singer Andy Ross on the far left, Roger Glover (with furry guitar strap) next to him, and singer / keyboard player Sheila Carter.